Saturday was the penultimate day of the 888poker XL Eclipse schedule with $65,000 worth of guarantees to be fought over. And players did fight for it – six-handed. Three tournaments, all Six Max, surpassed their guarantees and provided players one last chance to get in the game before the start of Sunday’s $1,000,000 guaranteed Main Event. 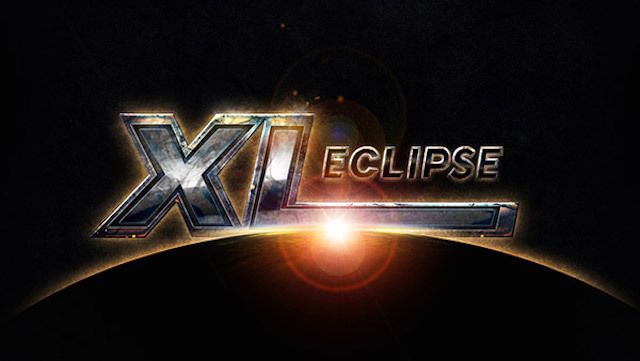 Here’s all of the Six Max action that kicked off the final XL Eclipse weekend. In the spotlight tournament of the day, Event #28: $30,000 6-Max, Austria’s ‘Kannwas’ made a heads-up deal with Russian crusher Arsenii ‘josef_shevjk’ Karmatskiy to take home $8,242.28 and the title of XL Eclipse champion. For his part, the #26-ranked Karmatskiy, took home mere pennies less, $8,241.37, and settled for second place. Karmatskiy ranked as high as #4 in 2018 and accumulated over $2.6 million in career earnings. It marks his third cash of the series, qualifying him for the $600 tournament ticket bonus, and puts him as one to watch in Sunday’s Main Event. In Event #29: $20,000 Mini 6-Max 528 players posted their $33 to help push the prize pool to $22,290. Mexico’s ‘gaingrapes’ brought home the win for $4,313.29, besting Romania’s ‘KeepTrying05’ heads up. The Romanian also take home a four-figure score of $3,198.61. In the late contest, Event #30: $15,000 Late 6-Max, for the second time during the day, the final two made a heads-up deal. Sweden’s ‘Feeding6’ would take home the title and $3,052.55 while ‘hotizzle’ settled for second and earned slightly more at $3,070.45. One look at the registration list for Event #28 showed that some of online poker’s top players were grinding for the weekend. 2017 XL Eclipse champion ‘_Lord_Xenu_’ picked up yet another 2018 cash finishing just outside the final table in ninth for $1,219.50. Just two spots behind him, finishing in 11th for $711.37, was #9-ranked Roman ‘Romeopro’ Romanovsky. Team Sweden was also out in full force. Jonathan ‘Pot4teUS’ Hellman cashed in 13th place. Finishing just outside the money was Andreas ‘r4ndomr4gs’ Berggren, Niklas ‘Clay_Born’ Kley, #32-ranked ‘Sheater’ and the current #1-ranked player in the world, ‘tutten7’. Despite the final tables only being six players, plenty of PocketFivers found their way to battle for the big bucks. In addition to ‘josef_shvejk’, Rocco ‘sephir0t’ Palumbo from Italy busted in third place for $5,081.25, one of the largest prizes of the day. Taking sixth at the same final table was Argentina’s Ivan ‘ivanascasubi’ Vilchez. Vilchez, the #431-ranked player in the world, earned $1,829.25 for his third cash of the series. In Event #29 the UK’s ‘R1CHKING’ added some cash to his coffers by taking the bronze for $2,396.17. The score will put him just over $660,000 for a career. It’s here, the final day of 888poker’s 2018 XL Eclipse. It brings four events with massive guarantees, including the $1,000,000 Main Event. In total 888poker is promising $1.3 million in prize pools on Sunday. It’s sure to bring out online poker players from all over the planet looking to grab a piece of one of 888poker’s biggest days of the year. In addition, there’s a 50 seat guaranteed Mega Satellite. Win your way into the Main Event for a little as $215.